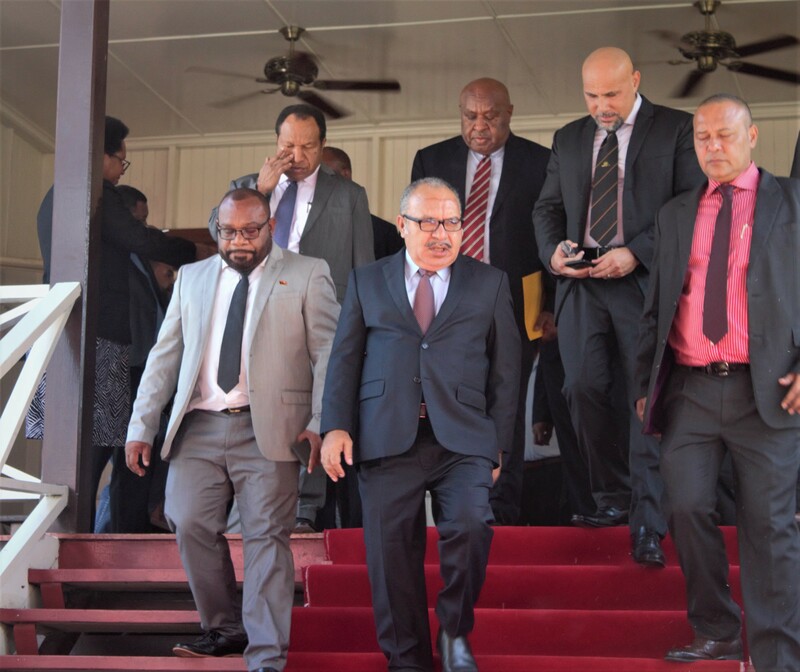 “We are absolutely encouraged that a corporate oil and gas giant such as Oil Search would give landowner companies a fair go, and today companies like PNGMPHS is a competitive and compliant company operating as a service provider to one of PNG’s largest companies in the oil and gas sector. We can only gain from their experiences”. 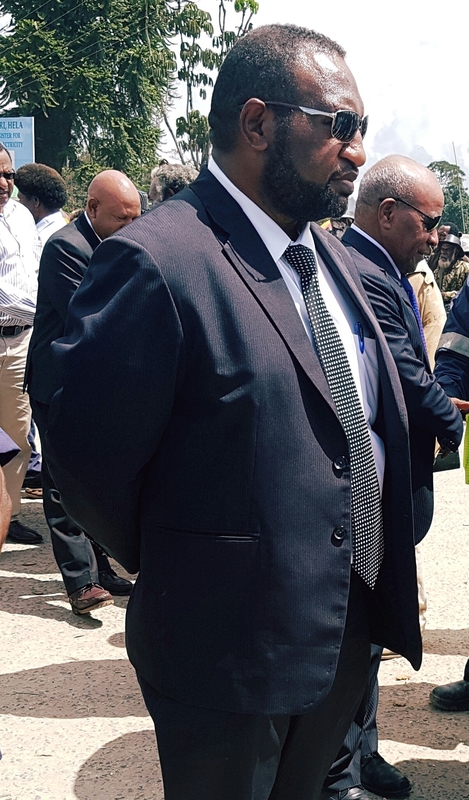 To capitalize on the commercialization of mega resource projects Mr. Thomas Nen, a Director of the Golpu Wafi Development Corporation said policy-makers and lawmakers must focus on enhancing PNG’s internal domestic capacity and capability to be the preferred service providers to the extractive industries in both the mining and petroleum sectors. The State’s MOUs has already advantaged the corporate giants with a suite of benefits and incentives. It is fitting therefore that both State and Corporate recognize the potential that industry compliant landowner companies have in enhancing and retaining capacity in the development of industry that has significant knock-on impact on the wider economy. “We cannot enter the Wafi Golpu Development Forum meetings blindly and expect to optimize project benefits for landowners falling under the caption of Local Content or National Content without the insights of such visits, as recently taken by Wafi Golpu Landowners up to Kutubu, especially with the back drop of the commencement of the MOA negotiations”, Thomas Nen said. 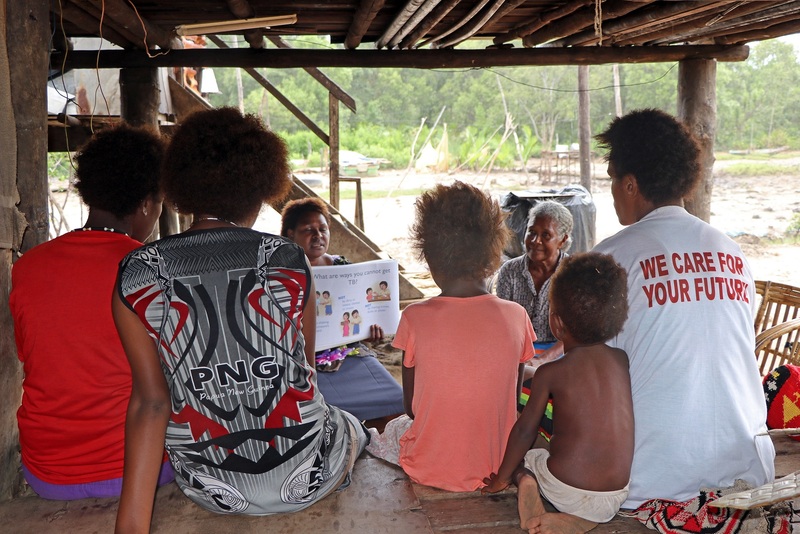 ‘The Local Content component of the MOA negotiation must not be seen by the governments’ corporate partners as opportunistic gauging by landowner rather it must be viewed as a robust form of project security beneficial to the project as it mitigates risks of project disruption by impacted stakeholders during the construction phase of the mining project as it would actively engage PNG’s indigenous content as active project participants and not mere bystanders”, said Thomas Nen. Mr. Nen’s comments came off the back of a two (2) day exploratory and awareness visit by Wafi Golpu SML landowners from the Babuaf and Yanta villages of Huon and Bulolo District who flew into Kutubu to gauge business development opportunities in the operations of Oil Search’s Kutubu oil fields. 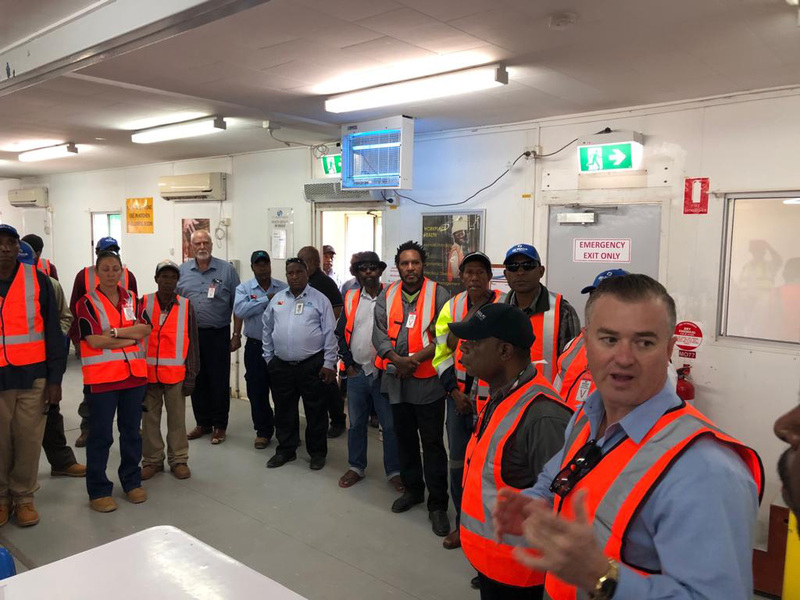 The visit was hosted by Papua New Guinea Mining & Petroleum Hospitality Services Limited (PNGMPHSL) and co-sponsored and supported by PNG’s corporate oil giant Oil Search Limited, with the purpose of sharing experiences with the ultimate goal of building, enhancing and retaining the full compliment of domestically grown landowner capacity and capability as service providers to the mining and petroleum giants who operate in PNG. Mr. Nen and his colleague Mr. Genesis Silwana welcome the challenges of the PNGMPHSL Chairman, Mr. Peter Heno, whose company is a significant service provider, providing a full suite of camp management services to Oil Search’s base camp, camps, exploration site operations and the off-shore platform across the length and breath of its PNG oil and gas field operations. Mr. Heno’s challenge to Mr. Nen was to ‘embrace teamwork to reach a common goal to make your landowner company prosperous to ultimately serve your people’s common good and development interest well into the future. Peter Heno stressed that in order “for our indigenous peoples to prosper, landowners must now help landowners”.Emphasizing that Kutubu landowners and in fact landowners across the entire oil and gas fields in general had gone through very steep learning curves that have grounded them very well to embrace the challenges of working with the rigger of the oil and gas industries and oil and gas majors, as fully-compliant service provider companies, having fully met regional and global industry accreditation and standards. 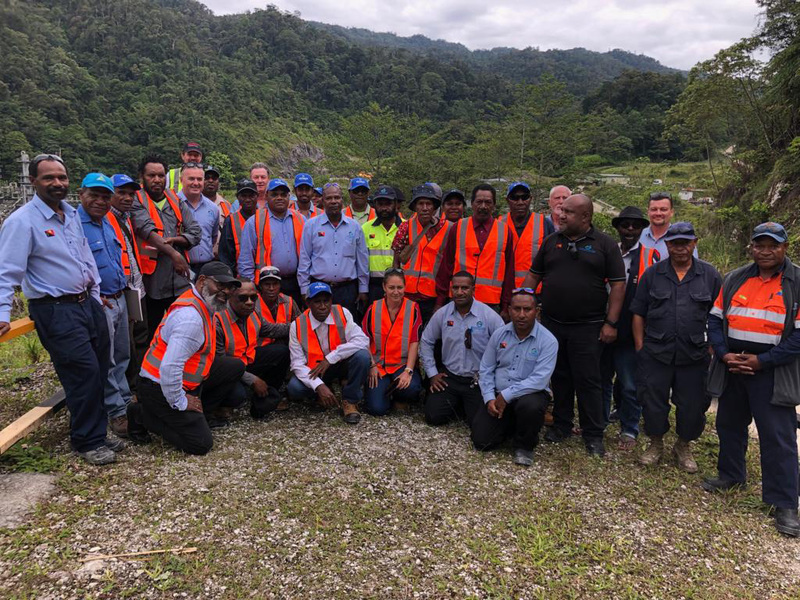 Thomas Nen together with Genesis Silwana hoped that such a visit could forge a deeper working relationship that would leverage PNGMPHS operating experience with PNG’s Oil Search to aid Wafi Golpu landowner companies to instantly make a quantum leap from being zero-compliant to a fully compliant company, far removed from the negativity and stigma of being a typical landowner company with no capacity no capital and no experience, which exists in name only, to one that can effectively compete with other significant locally-owned service-provider corporate players in the extractive industries space, in both the mining and petroleum sectors in Papua New Guinea. 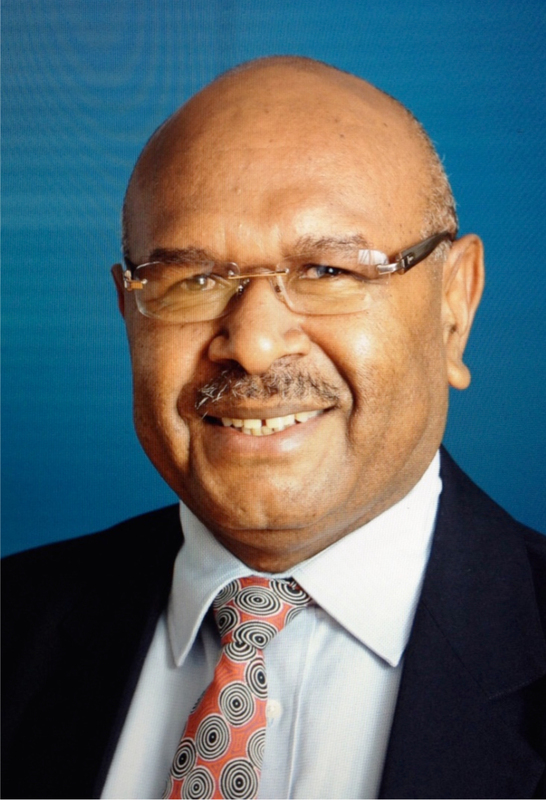 Mr. Genesis Siliwana supported Mr Nen and said: “We are absolutely encouraged that a corporate oil and gas giant such as Oil Search would give landowner companies a fair go, and today companies like PNGMPHS is a competitive and compliant company operating as a service provider to one of PNG’s largest companies in the oil and gas sector. We can only gain from their experiences”.